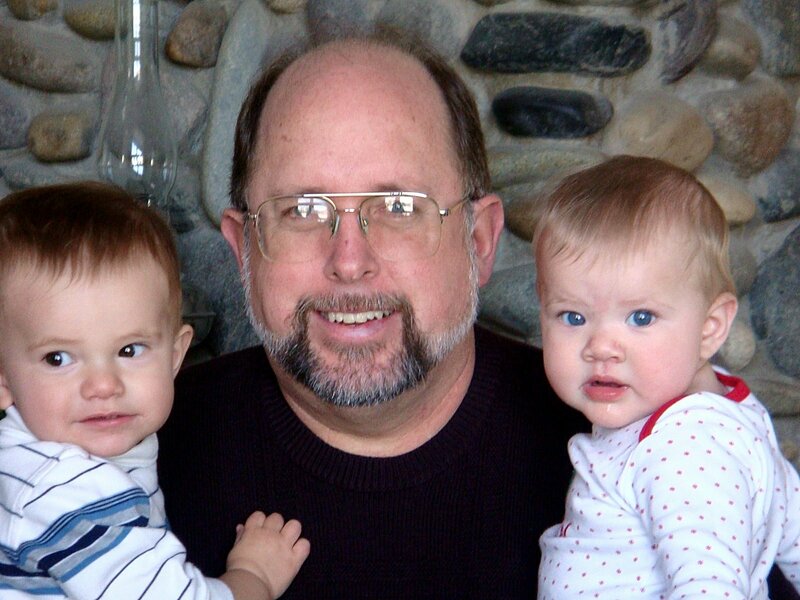 This is my dad holding Patrick and Kalena over Christmas. I really like this picture because you can see how blue Kalena’s eyes are. And I know you can’t see very much behind the glare on my dad’s glasses, but the blue eyes are there too. I love blue eyes 🙂 Dad’s a really pretty too. I hoping for that gene to pull through. Gorgeous! Lets get yours and mine together for a picture.